CloserStill Media has acquired a majority stake in FocusZone Media, Inc., operating as The eLearning Guild, for an undisclosed sum. The eLearning Guild has a 40,000+ membership community of learning and development professionals in the United States and across the world. The Guild operates major conferences and exhibitions including DevLearn (Las Vegas, NV), Learning Solutions (Orlando, FL) and Realities 360 (San Jose, CL) and has a number of digital publications as well as research and online events. CloserStill runs the world’s leading workplace learning event brand, Learning Technologies, with three market leading annual events in London, Berlin (with Online Educa) and Paris, a global digital community and the industry’s leading awards programme for corporate learning and development professionals. The London event in February is Europe’s largest annual exhibition and conference for the workplace learning sector attracting more than 8,000 attendees and over 200 exhibitors. ITE Group is to acquire Mining Indaba from Euromoney Institutional Investor plc in a deal worth £30.1 million on a cash-free, debt-free basis. The acquisition includes an initial cash consideration of £20 million to be paid on completion, with a deferred cash consideration of £10.1 million to be paid in June 2019. The acquisition will be funded from a combination of ITE’s existing cash resources and bank borrowing. Mining Indaba is a leading event dedicated to bringing together mining and investment experts involved in Africa. The exhibition, held in Cape Town, South Africa, was founded in 1995 and marked its 24th edition in February 2018. The next edition is scheduled for 4–7 February 2019. In the year to 28 February 2018, which encompasses the 2018 event, ITE says Mining Indaba generated sales of £7.2 million (US$9.36 million) and EBITDA of £3.7 million. As at 28 February 2018, Mining Indaba reported gross assets, excluding cash, of £600,000. Informa has completed the takeover of UBM. The new Informa Group will employ more than 11,000 people. It will own and operate a portfolio of more than 500 exhibitions brands in 15 industry verticals including Health & Nutrition, Life Sciences & Pharma, and Real Estate & Construction. In addition, it will own a portfolio of confex/conference brands, a range of specialist information and intelligence brands; plus have capabilities in B2B consulting and marketing service. CloserStill Media, the London-based exhibition and conference organiser, has entered a joint venture with Masie Productions to produce future editions of the Learning Conference in Orlando. The terms of the transaction were not disclosed. The Learning Conference draws around 2,000 delegates from the technology and corporate learning sectors each year and more than 40 commercial sponsors in the learning and technology field. In 2017, former First Lady Michelle Obama and actor John Lithgow were keynote speakers and Leslie Odom Jr., author of “Failing Up”, and star of Broadway hit musical Hamilton and author Dan Pink will head the international speaker faculty of ‘Learning 2018’ in November. Elliott Masie is among the most well-known figures in the global eLearning industry. He is founder of the Masie Center, an international learning lab, and chair of The Learning Consortium, a 20 year old collaboration of Fortune 500 companies. Under the new partnership with CloserStill, Masie will continue to lead the programme curation and act as host for the Learning Conference for the new JV company – CSM Learning, LLC. A new focus on disruptive technologies will form part of Learning 2018, with the introduction of Tech @Learning – a multi-strand content programme focussing on adaptive learning, artificial intelligence and machine learning, emerging assessment technologies, chatbots, immersive realities, edTech and venture innovations. CloserStill’s Learning Group Director, Mark Penton, said: “We are thrilled and honoured to be working with Elliott and his team. Elliott is an innovator and a disruptor and we feel that our combined global experience in the learning world will make for a very exciting new era for the Learning Conference which we have long admired and respected”. E Uluslararası Fuar Tanıtım Hizmetleri A.Ş(EUF) in Turkey, a wholly owned subsidiary of exhibitions business ITE Group plc, has acquired Platform Exhibitions Inc from Mahmut and Ayse Er. Platform owns the Beauty Eurasia exhibition which serves the beauty, personal care and cosmetics industries in Turkey and the surrounding region. Beauty Eurasia is held in Istanbul in June each year. The 2013 exhibition was the 9th edition of the event which sold more than 8,000m2 net and was attended by over 21,000 professional visitors. ITE has an established portfolio of existing Beauty events in Ukraine and Russia and earlier this year acquired an interest in the CosmoBeaute series of events in South East Asia. The terms of the deal were not disclosed. The consideration will be financed out of the Group’s existing balance sheet and the acquisition is expected to be earnings enhancing in the first full year of ownership. Publisher and event organiser Mash Media has acquired International Confex, the exhibition for the meetings and events industry, from UBM Live. The terms of the deal were not disclosed. In June 2012 Mash Media acquired The Event Production Show from Ocean Media Group, alongside the Event Production Awards, Access All Areas magazine, and directory The White Book. 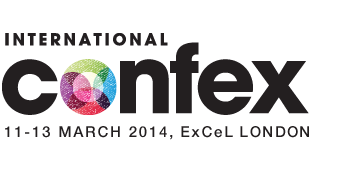 International Confex runs from 11-13 March at ExCeL London.